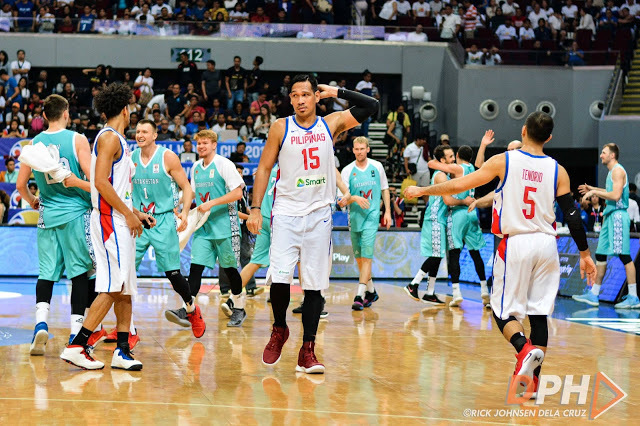 MANILA—Don't expect an early showdown between Gilas Pilipinas and USA in the FIBA World Cup. Both Gilas and USA will be in separate groups for the first round of the global tournament as explained by FIBA. USA will be in Pot 1 for the main draw of the World Cup with host nation China, Spain, and France. The said four nations will headline Groups A, C, E, and G depending on the result of the draw on Saturday night in Shenzhen. As previously agreed upon, China will be in Group A, while USA will be in Group E, meaning only the groupings of Spain and France will be determined in the draw. On the other hand, Gilas will be in Pot 6 with Canada, Montenegro, and South Korea. They will be respectively grouped into Groups B, D, F, and H along with the teams in Pots 2, 3, and 7. According to rules, no group will have two countries from the same continental region, meaning Gilas cannot be grouped together with Australia, which is part of Pot 3, and New Zealand, which is in Pot 7. Pot 7 also consists of Angola, Nigeria, and Senegal, assuring that Gilas will be grouped together with an African team. In Pot 3, Australia is joined by European nations Russia and Italy as well as Americas side Brazil, while Pot 2 has European teams Serbia, Lithuania, and Greece along with Americas team Argentina. This also assures that at least one European squad will join Gilas in its group.